Condon UCC is actively praying for and talking about transformation this year. This meme reminds us that with all growth, with any change, we will face loss and grief for the past. In all this, however, we know that our God is a God of resurrections and hope. 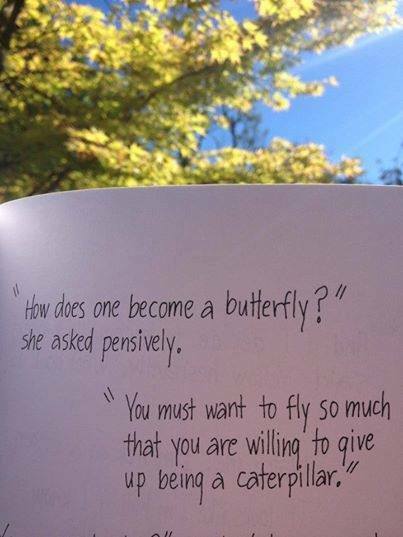 Do we want to be a part of the unfolding realm of God enough to give up being caterpillars? 1:00 Bible Study @ SSV We move on to John 4:1-42. 9:00 Bible Study We move on to John 4:1-42. 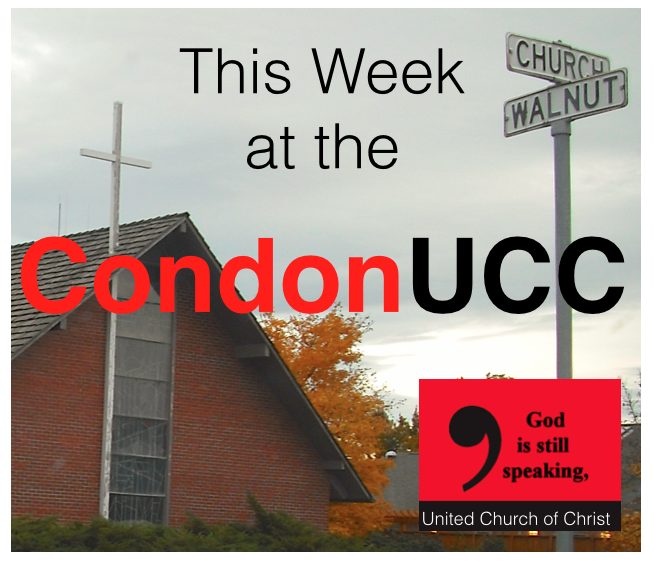 Condon United Church of Christ warmly invites the community to its 10:30 a.m. service on January 26 where Rev. Maggie Sebastian will be preaching about her upcoming mission trip to Guatemala. Sebastian, who works as a Clinical Chaplain, at Providence Hood River Memorial Hospital, will be the chaplain for a surgical mission trip to Hospital Hilario Galindo in Retalhuelu, Guatemala February 28-March 8 this year. 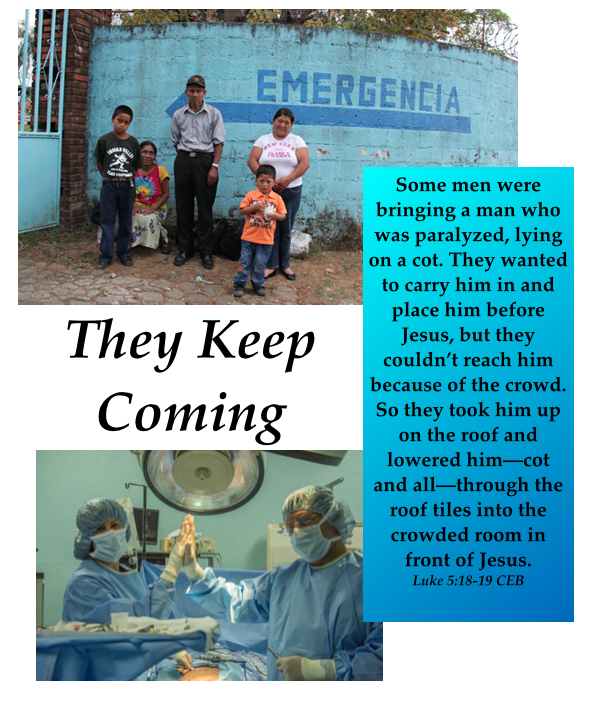 The trip is organized by Providence Health International working with their partner in Guatemala, Faith in Practice. The team will consist of about 30 Providence employees including surgeons, nurses, anesthesiologists, pharmacists, translators, chaplain, and support personnel. Working with staff at Hilario Galindo, the team will perform about 50-60 general surgeries in five days. Guatemala for about three weeks at Spanish language school to improve her language skills for the trip as well as her ministry in Hood River. For more information, contact the church at 541-384- 3681. To find out more about Providence Health International or Faith in Practice, please follow the links at the Condon UCC website www.condonucc.org. As we begin the God-guided, Spirit-led process of re-inventing and transforming our church, the following video is worth viewing. Phyllis Tickle provides a broad historical overview of where we find ourselves in 2014. “Consider that we live in a era when the church is floundering and is increasingly viewed as irrelevant. We all know that the church must find a way to change that. Some want to keep doing the same thing we’ve always done and hope that people will miraculously come back and start filling pews again. 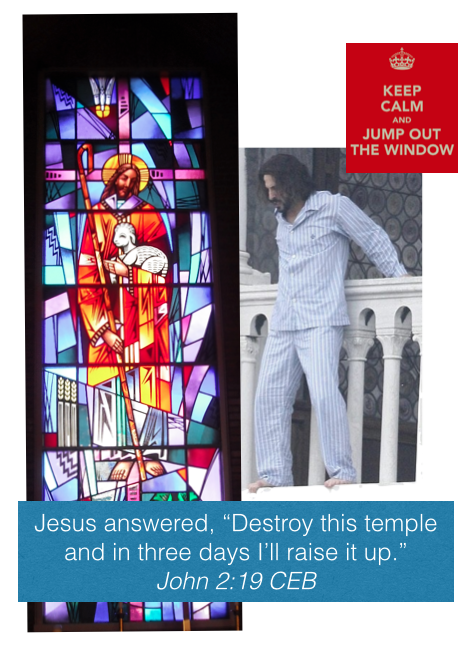 But just as the Temple wasn’t coming back for the Jewish people, that is not going to happen for us.” Read the entire sermon at Tim’s personal blog. Join us Sunday at 9 for Bible Study and at 10:30 for worship. We will focus on John 2:13-25.